Harold Briggs is remembered on the Bottesford Methodist Roll of Honour and is one of the WW1 servicemen named on the Bottesford ‘church list’. He is also in the Absentee Voters list of 1918/19, where the records where his address was given as Grantham Road, his army details as WR177009 Sapper, R.O.D. Royal Engineers. Harold (or Thomas Harold) Briggs was born in 1896, and baptised in Bottesford parish church on the 11th October. He was son of Thomas Briggs, a railway platelayer born in 1859 in Bottesford. His mother, Annie Maria, was born in 1861 at Millfield, Nottinghamshire (or at Peterborough, according to the Census of 1911). In 1891, before Harold was born, the family had lived on The Green, but by 1901 the family were living at Bunkers Hill, where the children at home were Earnest (aged 15), Harriett (12), Herbert Abbott (11), Thomas (4) and Joseph Cecil (1). All the children were born in Bottesford. Then in 1911 Harold, now aged 14, was a farm servant, working for Thomas Guy Lovett at Riverside Farm, Bottesford. 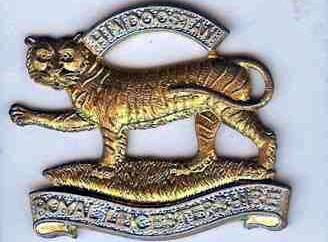 Harold signed up in January, 1915, having previously been with the Territorials. Detail of his service career are rather unclear though his Medal Index Card was located. His initial Service Number was 3652. It appears that was initially in the 5th Reserve Battalion Leicestershire Regiment, but he travelled to France on the 29th June, 1915, presumably to enter active service. We understand that he joined the 1/5th (Territorials) Leicestershires in 1917, and it some point may have been given a new service number, 241317, but the identity of his previous unit is uncertain. He may have been with the 5th Leicestershires all the time, but this needs to be confirmed (or refuted). 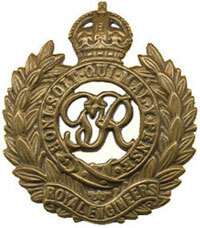 Later, he was transferred to the Royal Engineers and apparently given service number, 489948. He was assessed in the workshops of the R.O.D. (Railway Operating Division) and found to be proficient in cleaning locomotives. He was then re-tested every 6 months, but the reason for this is uncertain. However, it appears that he was in fact a prisoner-of-war at this date, in October 1918. A report in the Grantham Journal of the 11th January, 1919, states that his many friends would be pleased to welcome him back, after he (Corporal H Briggs son of Mr Thomas Briggs of Easthorpe) had been held by the Germans since March 21st ,1918 (the first day of the Spring Offensive), and arrived back at Leith during the earlier part of January, 1919. Harold was demobbed not long after his return from captivity, in April 1919, when he was in the 2nd Company, Royal Engineers. His Absentee Voter details were Grantham Road, WR/177009 Sapper, R.O.D. R.E. He was awarded the 15 Star, the Victory Medal and the British War Medal. Harold Briggs married Sarah Ellen Widdowson on the 28th January, 1919, at Bottesford, while on leave, not long after returning from being a POW. His bride was Sarah, daughter of William Widdowson, from Mapperley, Nottingham. Harold’s brother Corporal Herbert Briggs was best man at the wedding, as reported by the Grantham Journal on the 1st February 1919. He was due to return to France at the end of his leave. He returned home in April that year, finally discharged from the army. The electoral records from Spring 1919 confirm that at this time Harold and Sarah lived at 43 Hungerhill Road, Mapperley. Later records have them at the same address to 1929 at least. 1939 Register has them still at 43 Hunger Hill Road, where police constable Harold Briggs, born 5th August 1896, lived with his wife Sarah Briggs, born on the 5th February 1889, and Renee M Briggs, a tobacco worker born in 1882. Sarah Briggs died in Nottingham during 1967, aged 78, and Harold Briggs died in September 1970, also in Nottingham, aged 74.